I know we Lutherans just celebrated Reformation Day yesterday, but I can't think of a better time of year to write about the neglected Doctrine of Demonology and its connection to spiritual warfare (Ephesians 6:12) than during the time of year when the world also celebrates Halloween. Let's face it, most Christians (and particularly Lutherans from what I've personally experienced in the short time that I've been one) tend to immediately downplay any possibility of demonic, evil entities let alone the kind of spiritual warfare you always see in horror movies. I always found that to be rather odd though, considering we Christians believe, teach, and confess that the Word of God is true in every respect, and that it clearly talks of a being called Satan who also has legions of demons at his disposal who serve him in an effort to seek, kill, and destroy others (1 Peter 5:8) if not just merely wreak havoc in their daily lives in an attempt to turn them away from Christ. On the other hand, I guess it makes some sense for that to be the general consensus though since the only people who ever really talk about things like "demonic possession" and such within Christ's Church seem to be the "Spiritual-Gifts-Signs-And-Wonders" kinds of Christians who we usually tend to distance ourselves from for obvious reasons anyway. So then what do you do when a family member, friend, neighbor, or co-worker mentions that they saw the nationally televised "LIVE Exorcism" on TV Friday night and they want you to comment on it since they know you're a Christian? What do you do when they ask you about your thoughts on how some "Vatican Exorcists" recently declared that celebrating Halloween causes an increase in occult activity and makes children feel suicidal? Would any of us (myself included) know what to say? Would we respond Biblically -- both accurately and faithfully? Would we even care to or would we just laugh it all off as some well-orchestrated "publicity stunt" timed perfectly to coincide with Halloween for maximum effect and TV Ratings? The point I'm trying to make here is that I think we would be wise to at least acknowledge the reality of demons and evil spirits as agents of the devil in this present life more so than we have in these post-modern times. Thankfully, one Lutheran Pastor did just that in a recent book he wrote and published, which I believe is the only one of it's kind from the Lutheran church in the modern era. OK, so the topic of exorcism and demon possession seems a bit much for you...I think this is the case for many people even in the church. The is especially true for those who have never had any type of experience with the demonic. Many times if something is outside of our experience we simply do not have any interest in the topic. 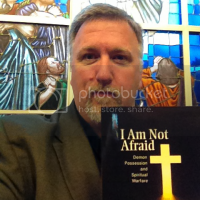 So why bother with a book titled, I Am Not Afraid: Demon Possession And Spiritual Warfare? If you are Lutheran the answer is simple... This is the only peer-reviewed and doctrinally approved book on the subject. That should be reason enough to read it. Sure you can find some the information scattered among many other sources, but you will not find a more complete picture of how the Lutheran Church understands the issue of demon possession and spiritual warfare than is provided in this book. That alone should drive everyone in the Lutheran Church to read this book. Now, if you're a little skeptical like I was at first, then that's ok and I completely understand. Here's a short bio on the man who wrote this book. Let's start there. Dr. Robert H Bennett is the Executive Director of Luther Academy. Before accepting the position to Luther Academy, Bennett served as the Administrative Pastor of Trinity Lutheran Church and School of Reese, Michigan (2009-2014) and Senior Pastor of Our Savior Lutheran Church of Benzonia, Michigan (2001-2009). He enjoys teaching in the areas of The Lutheran Confessions, and Pastoral Theology. Bennett also serves as an International Mission Specialist and Guest Professor of Missions at Concordia Theological Seminary in Fort Wayne, Indiana. Dr. Bennett holds the degrees of B.A. 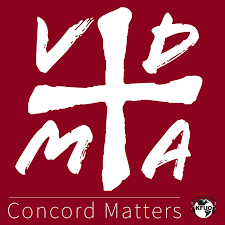 from Concordia University, Ann Arbor (Human Resource Management), M.Div. (Exegetical Studies), S.T.M (Exegetical Studies) and PhD (Missiology) from Concordia Theological Seminary, Fort Wayne Indiana. His PhD research focused on the growth of the Lutheran Church of Madagascar (F.L.M.). Dr. Bennett's research led to the publishing of his first book on the subject Malagasy Lutheranism, titled, I Am Not Afraid: Demon Possession and Spiritual Warfare. Concordia Publishing House will release his second book, titled, They Are Afraid: American Spirituality, in the Fall of 2015. Bennett is also the author of numerous journal articles and book reviews. I don't know if you caught that, but Concordia Publishing House will be releasing his second book titled They Are Afraid: American Spirituality any day now, which is welcomed news, because this first book is one you should definitely add to your own personal library simply due to the uniqueness of the subject matter and its treatment from a distinctly Lutheran perspective. Obviously, the man has credentials and a life's worth of experience, but more importantly, he has the respect of layman and his peers for his faithfulness to the Word of God and to the Confessions. Dr. Bennett opens up fascinating insights into foreign realms of Madagascar and its flourishing Lutheran Church, reaching across barriers of disbelief, paganism, idolatry -- liberating from the clutches of evil. 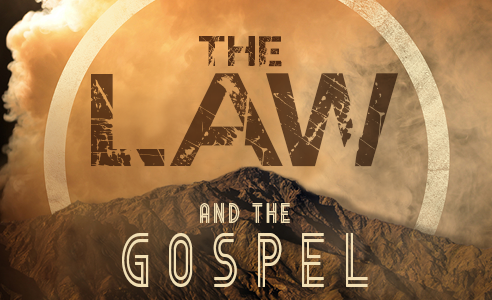 He demonstrates how this merciful deliverance was part of Christ's Gospel and the Church's mission from the start. May this receive all attention it deserves and invite many to study the exciting world of faithful missions in Africa! Dr. Bennett, in this outstanding book, helps us look at Scripture and Lutheran theology in our postmodern context and rediscover a spiritual struggle that directs our ministry to the ultimate authority of Jesus over Satan and his allies. The Western Church can once again examine exorcism, demon possession, and spiritual warfare, and in an evangelistic context practice the Christian faith with the power of the Holy Spirit. Plus, in addition, Dr. Pless wrote the Foreword to this book too. ...sin, death and the Devil were not a theological problem t be solved -- they were enemies to be fought against. The problem of evil is not primarily a problem within the sphere of the intellect, and it would be foolish to try to solve it there. The true fight is not carried out with syllogisms, but with prayer and preaching. Personally, I didn't find much of anything to criticize about this book. It's not that I was looking for it, or out to play "gotcha!" with the author, but I have to admit that I was a little on guard and a little skeptical going in, because I had always thought that we Lutherans didn't talk about such things since we just didn't believe in them (at least not in the same way like our "Charismaniac" friends do let's say). I was most intrigued to find that our church fathers wrote quite extensively about such things as demonic possession, evil spirits, exorcism, pagan idolatry, and spiritual warfare. The book is essentially broken into two parts. The first half of the book is all about Dr. Bennett's experiences doing mission work in Africa for the Malagasy culture through the Malagasy Lutheran Church. The second half of the book is all about what the Word of God, our Confessions, and our church fathers have to say about the topic. Part One includes recent conversations dealing with spiritual warfare, an introduction into the Malagasy Lutheran Church, and the traditional Malagasy worldview. These are the stories of those who have been rescued from the darkness of sin and brought into the light of the Gospel. Part Two looks to the Bible and the Church for explanation and historical perspective on the spiritual warfare found in the Malagasy Lutheran Church. Is it something only found in the time of Jesus and the apostles? What has the Church said in the past about such activities? 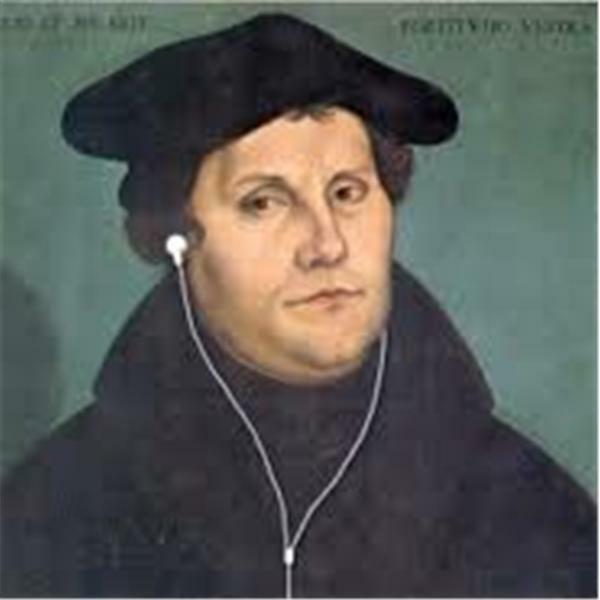 Bennett explores the views of Martin Luther and other Lutheran leaders, and finally provides some helpful contemporary material and resources for dealing with spiritual warfare in today’s context. Initially, my only criticism was that I wished Rev. Bennett would've reversed that order. For me, a "Newtheran" at the time when I first read it, I think it would've been more helpful to read the second half of the book first to help set my mind at ease. Let's face it, most people are a little uncomfortable with subject matter like this, which is why I think it would've helped significantly to read that part first and then realize along the way, "Hey! Martin Luther wrote that!?! Hey! Our Confessions actually say that!?! Whoa! God's Word clearly states that!?!" Then again, as I've reconsidered my initial reaction in light of this book review, I think that maybe I'm the one who's wrong about that. After all, maybe it's intended to be a book that's more about "evangelizing" people entrenched in such pagan, ritualistic, superstitious beliefs and practices than it is intended to be a book that's all about "educating" Christians about such things. Either way, the book is a success and a very detailed and thorough resource for all Lutherans, which is why I will continue to encourage you to add this one to your own personal library. Exorcism? Yes -- In The Lutheran Church of Madagascar! "This is a video I shot in 2007 as I was doing research for my PhD. The location is Toleary (Tulear) Madagascar. The event was a five day bible study and commissioning event for the Lutheran Shepherds (Lay Servants of the Church). The person being exorcised in the video is not a Christian, but was simply watching from the sidelines." Compelling stuff, huh? I know what some of you might be thinking though. Ok, Jeff, but how is that any different from the types of things I've seen on CBN and TBN involving false teachers? The best I can offer in the form of a response (if you're not going to read the book) is to simply listen to any number of the many interviews that Rev. Bennett has done over the years with Issues, Etc. and KFUO among others (there's just too many to list them all here individually, but each one is slightly different than the other, which is very helpful and informative). Back in June 2013, Concordia Publishing House (CPH) published a short interview with the author that asked some very good questions about why he decided to study this subject and then write a book about it. 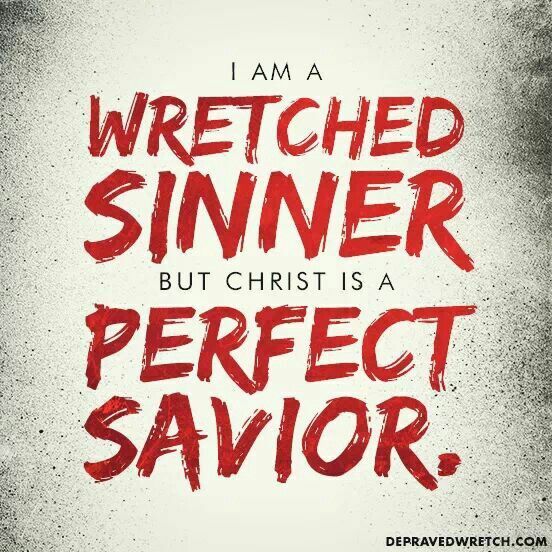 A miracle or sign cannot rescue the sinner from damnation. Only the substitutionary work of Jesus can bring life to the spiritually dead. 'Are we becoming wiser?' that is, wiser than the divinely inspired authors, namely, Matthew, Mark, Luke, and John. Many think they are wiser and more sophisticated about such things. Today, Seminaries education rarely discusses the topic of demon possession or exorcism. It is my hope that this section of the book restarts the conversation, not only within academia, but also in sermons, Bible studies, and general pastoral care. Exorcism in the name of Jesus is not something to toy with (this becomes clear in the next section). ... The name of Jesus is not a magical incantation that can be used by individuals. ... The Word of the Lord is not magic. The Word of the Lord brings the Lord Himself. While Jesus has commanded His followers to use His name, that name can never be separated from the one who carries it, namely, Jesus Christ, the Lord, the Son of God. ... Here is the ultimate exorcism. Jesus is pointing to His own death upon the cross as an act of exorcism. 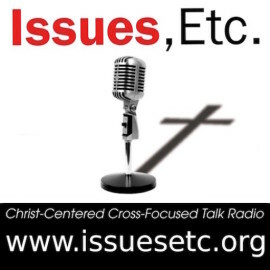 At the cross, Jesus will cast out (exorcize) Satan. Satan is the 'prince of this world,' but at the cross, the prince is removed from his throne. Really, I could've gone on and on with excerpts, especially when focusing on the second half of the book where all the writings of some well known Lutherans are collected together in one place and presented for our prayerful consideration. It's great stuff! However, I really don't want to ruin it for any of you who are thinking of picking up a copy for yourself. The book raises some worthwhile questions too I think. For instance, I was left wondering why we see more of this sort of thing in other places like in Africa. I don't recall the book addressing that so I'll have to go back and check or listen to some of those interviews again. Also, do we see the same things here in the West, but we just mislabel it all the time? Again, I'll have to look into that. The book surprised me in that it's actually a pretty strong rebuttal against a lot of the false teachings that are so prevalent in the Church today. Pastor William Weedon touches upon this in his brief post on an often ignored aspect of spiritual warfare. The book takes a serious look at exorcism in the Lutheran church in Madagascar and shows how it is very similar to the examples of exorcism we find in the Scriptures. It's not sensationalistic at all but provides lots of statistics as well as lots of interviews with those who have conducted exorcisms or been demon possessed. Many of the churches in Madagascar are syncretistic and those who convert to Christianity often return to the religion of their families at which point they become demon-possessed. Christ has driven out the demons from many of these people through His Word by the people in the Lutheran church in Madagascar. Dr. Bennett, I believe, successfully argues that the Lutheran church in Madagascar has something to teach us, especially as our culture becomes more and more fascinated with occult practices and other religions. Even if we don't admit it in our words, the tendency in many churches is to act as if the Devil does not exist. The Lutherans in Madagascar know that he is very real but also know that they do not need to be afraid because Jesus is the victor. Dr. Bennett provides some very good exegetical work as well as some helpful quotes from Lutheran theologians. That's well stated and written with brevity (something I always admire about other writers!). In a Lutheran layman's terms, the devil, demon possession, exorcism, and spiritual warfare are real, and it's about time we are healed of our collective "spiritual amnesia" when it comes to such things. This book provides the healing medicine we so urgently need. So, buy the book, and then download this FREE Study Guide and ask your Pastor to preach and teach on this at your church. If it doesn't interest him, then you can do it with your own family instead.